Segway Events is not liable for damages in any form occurred during the Segway activities and / or the Segway tour to the participants, third parties and / or goods. In case of damage and / or breakage, the entire purchase price of the items is to be paid to Segway Events. This is not the case if the client has waived damages. In the case of obvious abuse or vandalism, the client will be responsible for these costs despite the damage waiver. Lessee must comply to any and all local traffic regulations. Any traffic fine (s) shall be borne by the lessee. Segway Eventsis at all times entitled, in the case of alcohol usage or misuse of the Segways by the lessee, to retrieve the rented Segway(s) within the rental period without a refund. Without explicit permission from Segway Events the Segways may not be used on trails, beach and / or in puddles. In the case of an early return of the rented segways, the full rent will be charged. In the case of loss or theft, the full purchase price of the Segway is to be paid to Segway Events. 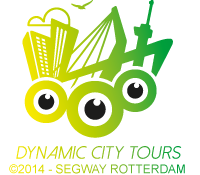 This applies only if Segway Events does not provide tour guides. If due to weather conditions determined on the day of the event the tour / workshop can not continue and Segway Events has not yet traveled to the location of the event and / or Segway Events has not incurred any costs (3d party hire, personnel, planning) then the agreement for the rental period will be postponed. If possible and desired by the lessee the agreement will be fulfilled at a later date (within 6 months) at the agreed cost. These costs will be immediately invoiced before or after (whichever is agreed) the original event date. If not possible or desired by the client to postpone the event the agreed rental sum will be invoiced immediately before or after the event date. If during the tour / workshop the weather does not permit the tour / workshop to continue, the cost will be charged for 100%. If the client wants to stop during the tour / workshop itself the full agreed amount will be charged. Until 30 days before the event = 30% of the total amount will be charged. No later than 7 days before the event up to 10% of the number of booked segway be canceled without charge. Segway tour only start when there is at least 4 people.